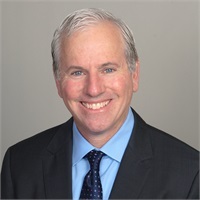 Dan Goldberg, President and CEO of DBG Financial Group, Inc. and Managing Partner of One Source Advisory, began his financial services career in 1994 after graduating from the University of South Florida with a degree in Marketing. He immediately began working with Principal Financial Group ® , where he learned how to serve his client's needs. He earned the Florida 2-15 Life, Health and Variable Annuities license plus many other locations throughout the United States. He received his FINRA Series 6, 63 and 7 securities registrations. With a few years of working with Principal ® under his belt, Dan obtained his CERTIFIED FINANCIAL PLANNER™ certification in 1999 and shortly thereafter his Chartered Financial Consultant (ChFC ® ) designation in 2003, and his Chartered Life Underwriter (CLU ® ) in 2010 through The American College. Dan keeps up his studies up with Continuing Education. With this knowledge, Dan can be a resource for both individuals and businesses. Dan is committed to helping our clients reach their goals and service their needs.